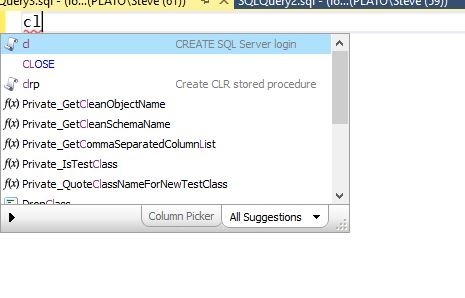 I love SQL Prompt, since it makes T-SQL coding quicker and easier. One of the handiest things is the Snippet Manager. I’ll show you how this works. When I type something, like “cl”, I get a list of things, as shown below.. I see CLOSE, which has “cl” in it, as well as a number of functions. 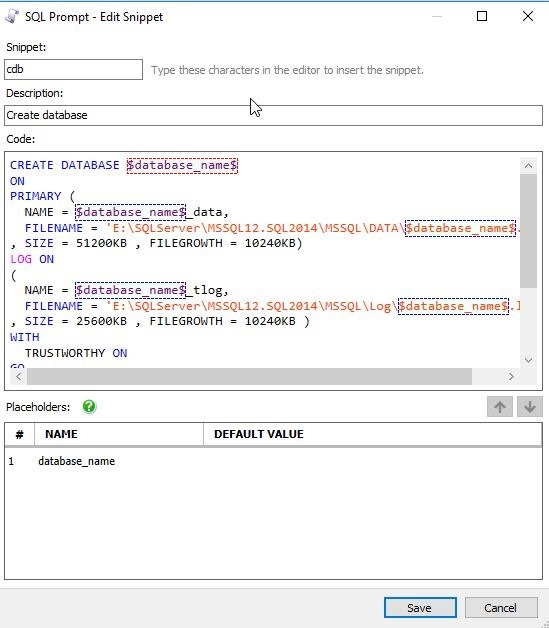 However there are two items (cl and clrp) that have a description to the right. They also have a scroll to the left. These are snippets. If I hit Tab, the highlighted snippet, cl, will be replaced with code. This is shown below. 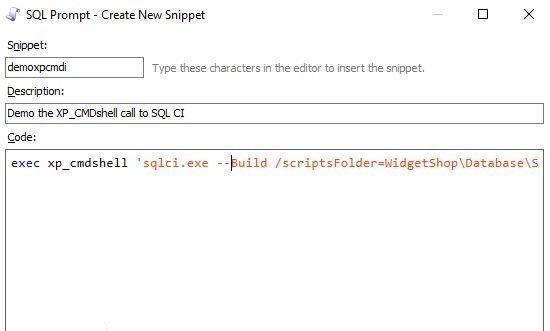 This is all custom code I put into my Snippet Manager. 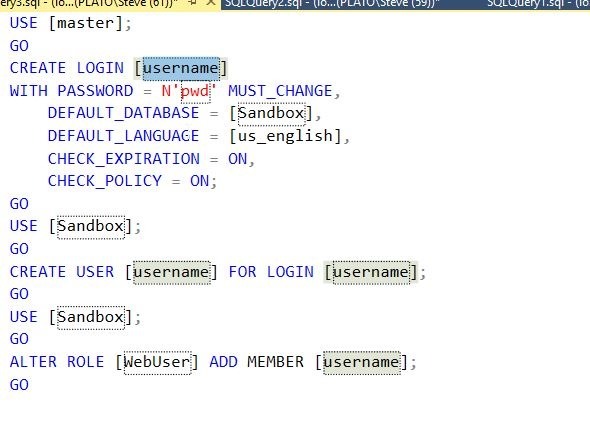 I can now replace these parameters with new values, or just execute this code as is to create a new login and user. Note I typed three things (c, l, TAB) to get lots of code here. 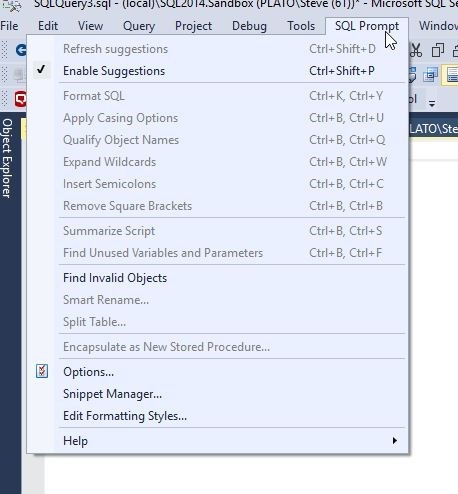 To access the Snippet Manager, click the SQL Prompt menu item and look down towards the bottom. 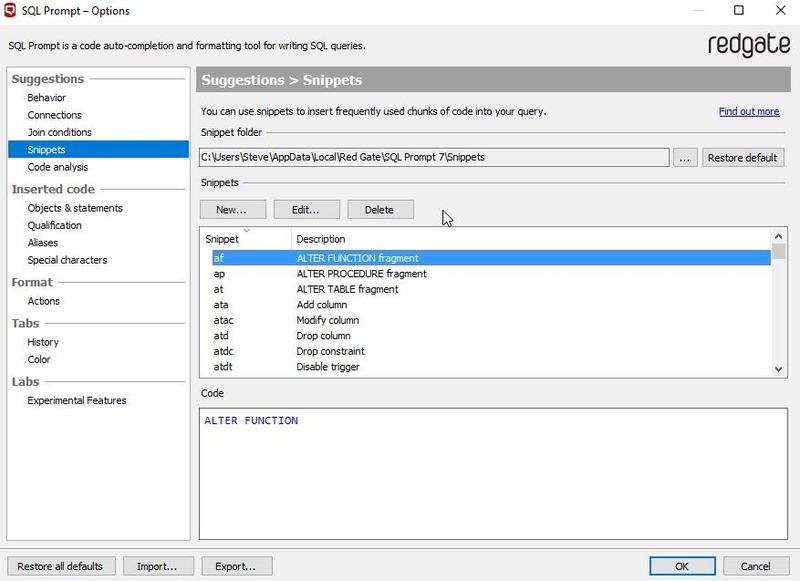 This will bring up the Snippet Manager (part of SQL Prompt options in 7+). 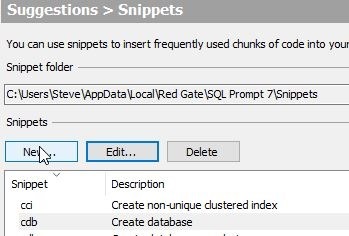 Note that I have a folder where I store snippets at the top, various snippets below that (with new/edit/delete buttons) and then the snippet code the the highlighted snippet at the bottom of this image. The snippet is highlighted, and if I type, I get completion here. So, I’ll type C-D, and jump to the “cdb” snippet. Note I’ve skipped over cci. I can then edit or delete this snippet. 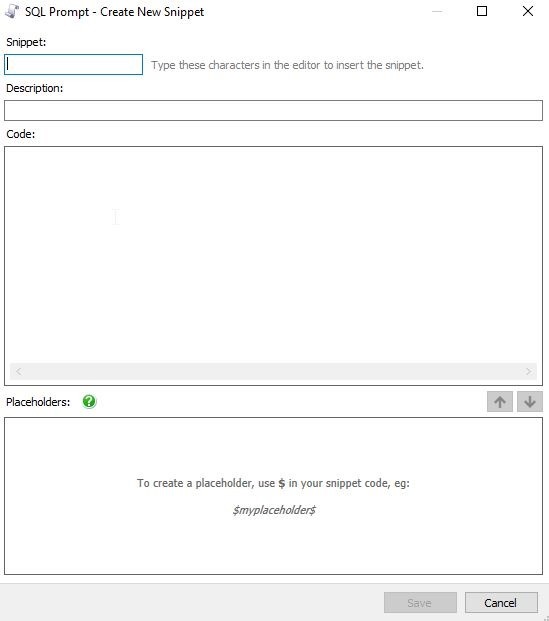 If I edit it, I’ll get a dialog with the snippet and the placeholder parameters listed. This is shown below. 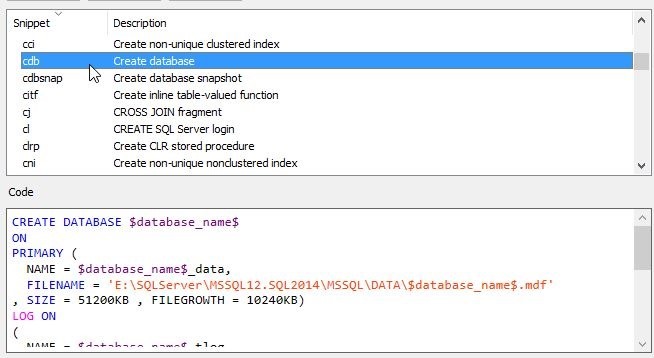 Note: I’ve customized this code, so it isn’t the SQL Prompt default. I’ll then get this dialog. I can give this a name, a description, and type any code into the code window. I’ve added a few items below. 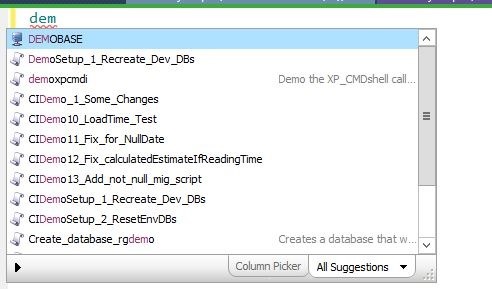 My new demoxpcmdi appears before the other “demo” snippets. I can also see my description to the right.